View cart “Party Tent 10 X 40 Canopy – White” has been added to your cart. When tent is installed on Grass, Dirt, Etc, we use stakes to secure tent properly. Set up at no extra charge. Please call to inquire. 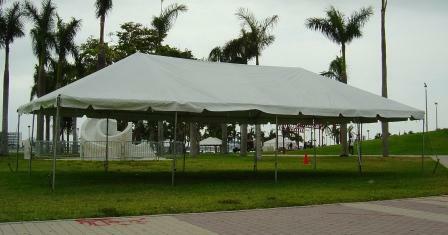 When tent is installed on a Hard surface: We require water barrels at an extra charge depending size of tent.